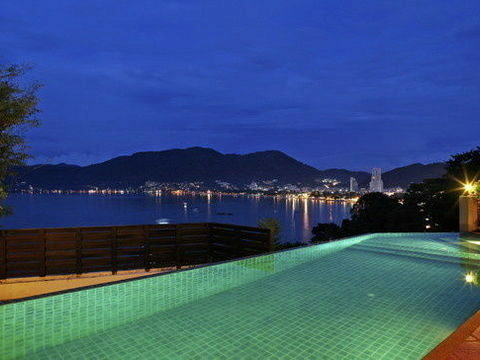 Set around a beautiful infinity edge pool, with 180 degree panoramic views of Patong Bay, this luxury vacation villa is undoubtedly one of the finest villas in Phuket. 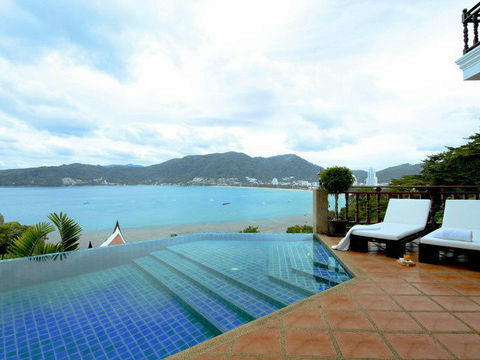 Located high on the hill at the south end of Patong Beach, Villa has all the convenience of being 3 minutes to the beaches, shopping, dining and nightlife Patong has to offer, but enjoys peace and quiet with absolute privacy. 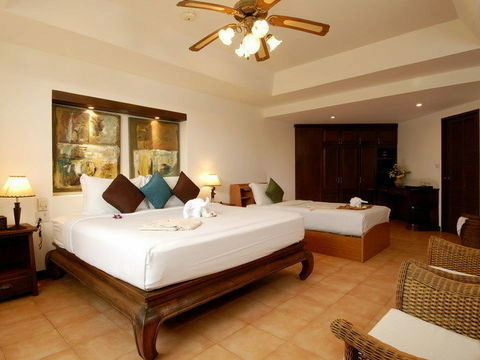 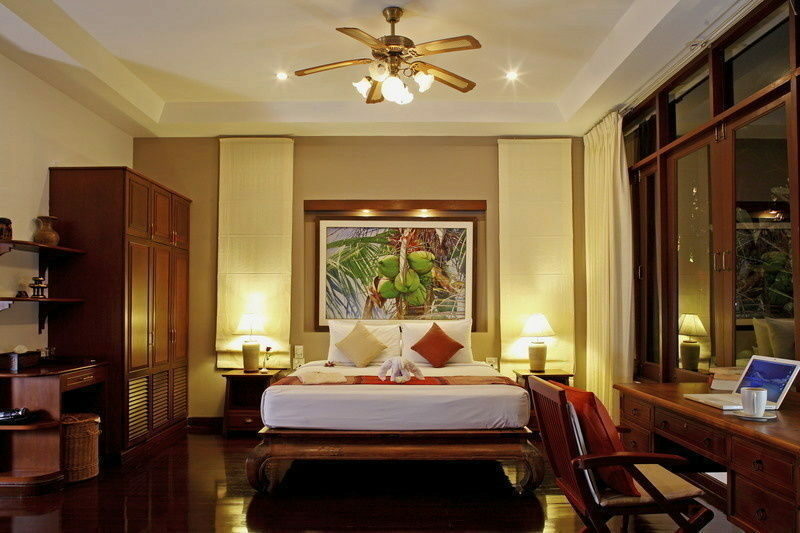 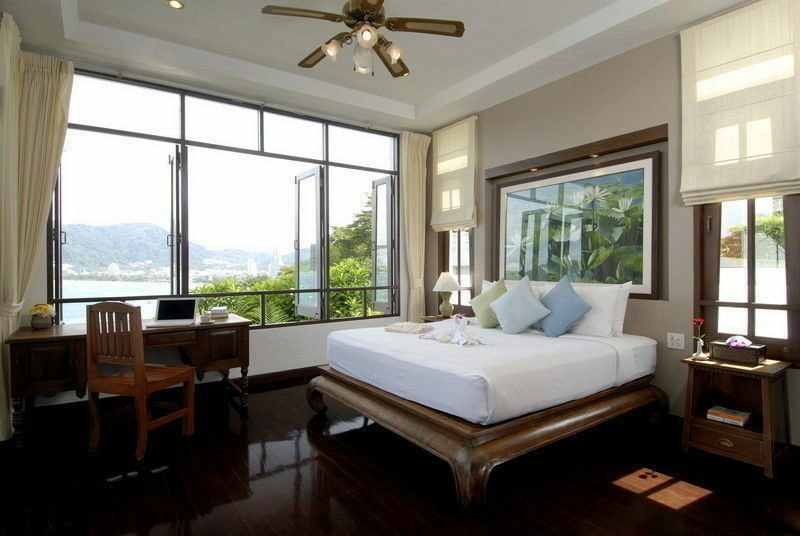 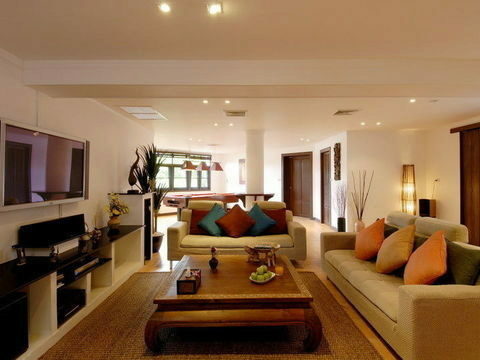 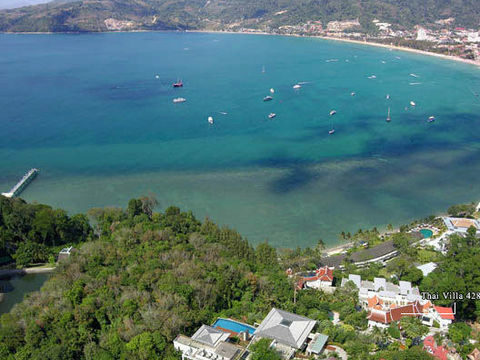 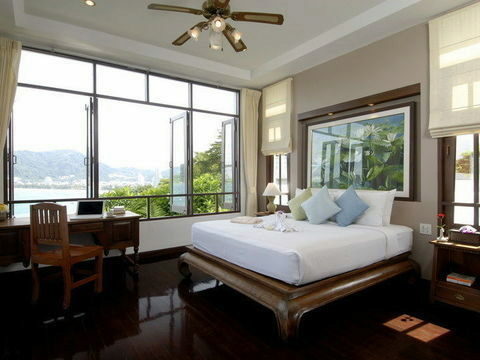 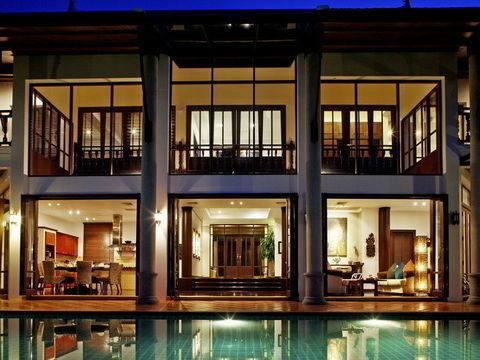 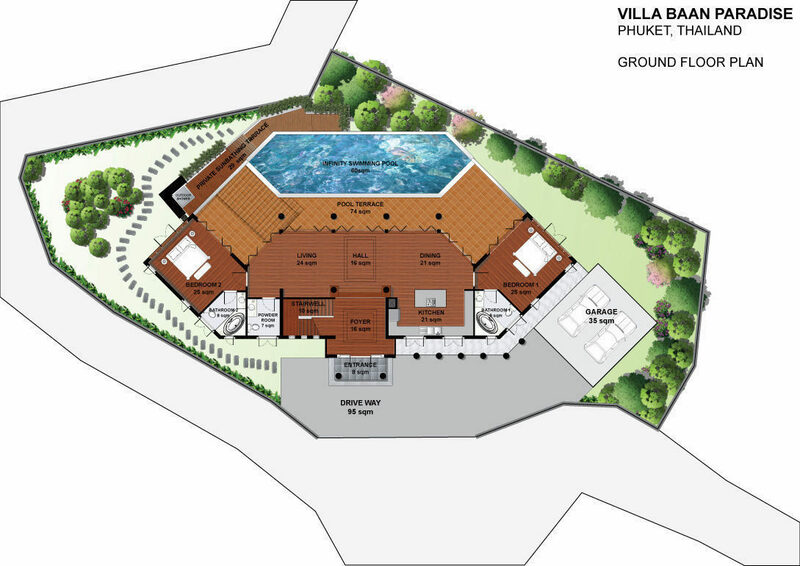 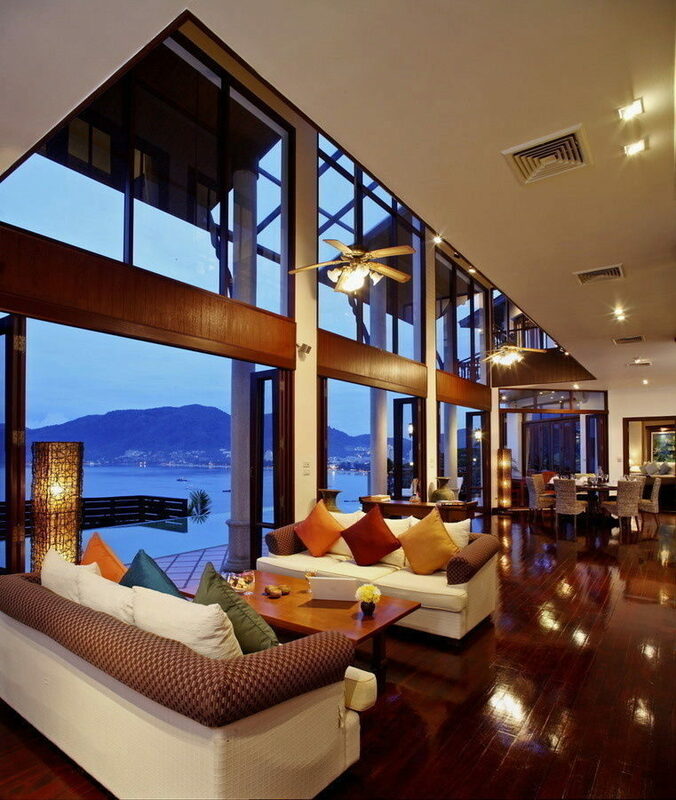 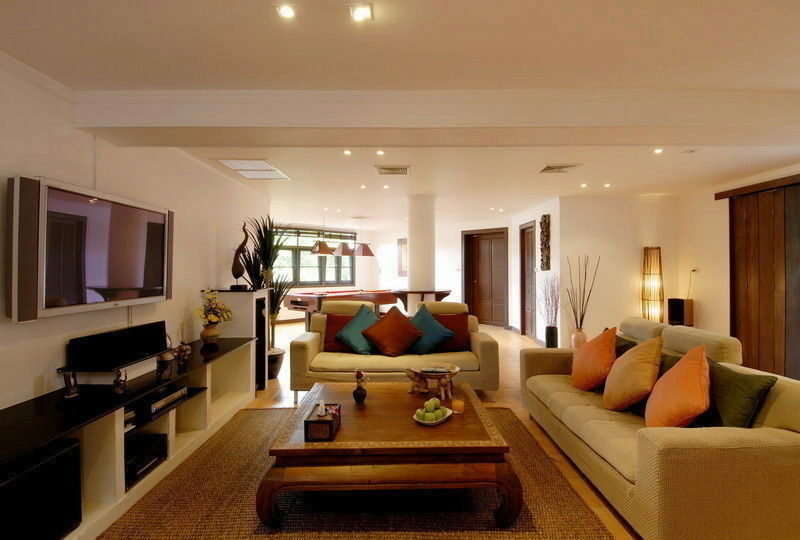 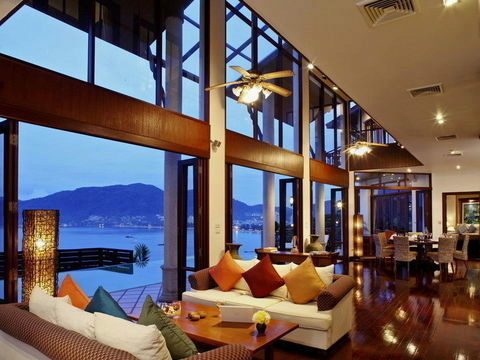 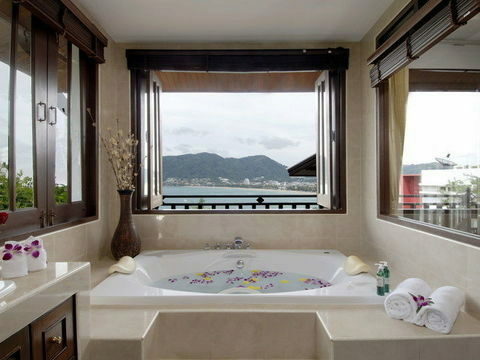 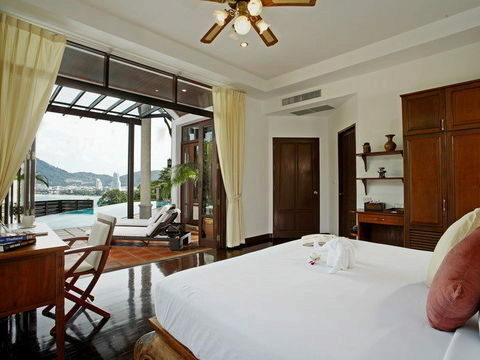 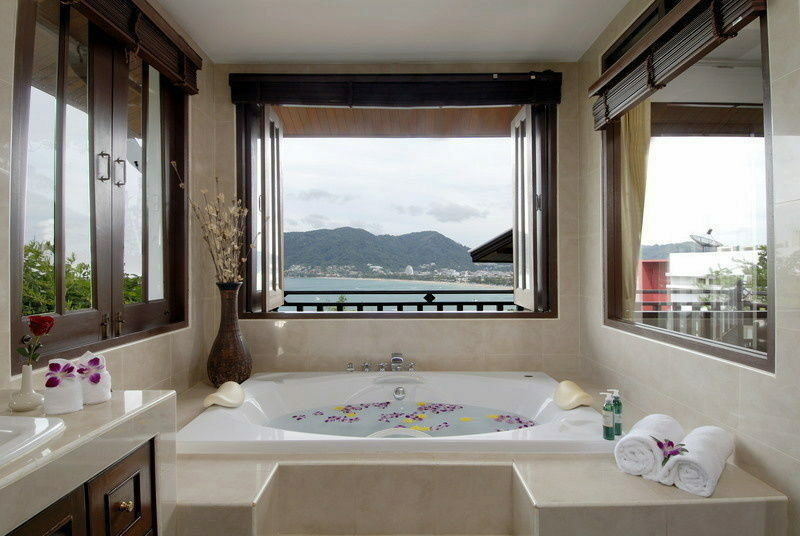 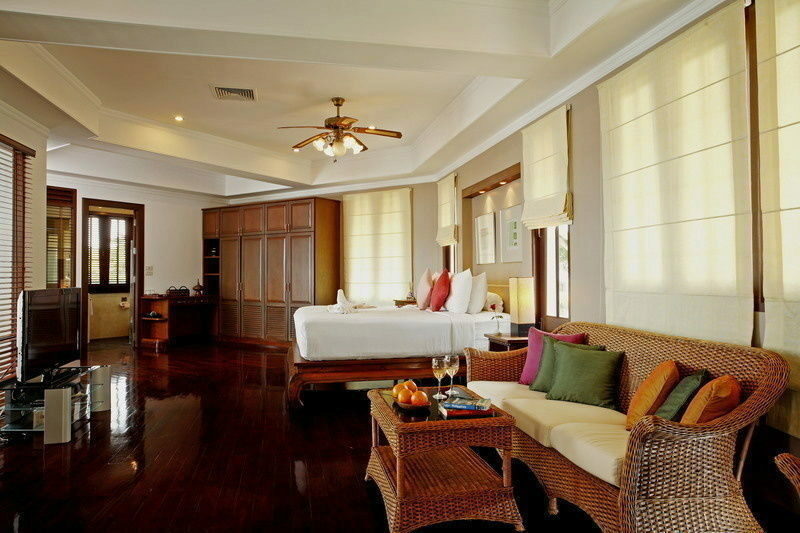 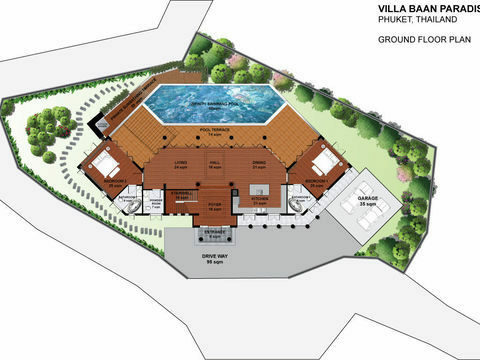 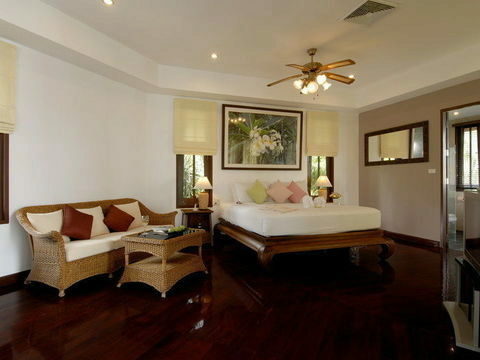 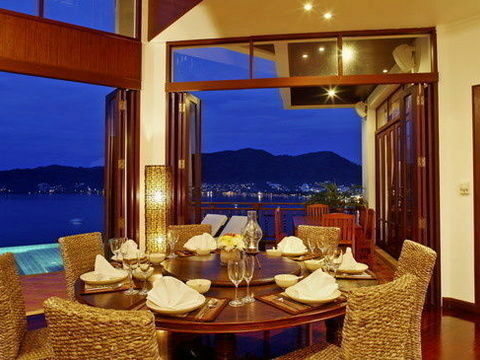 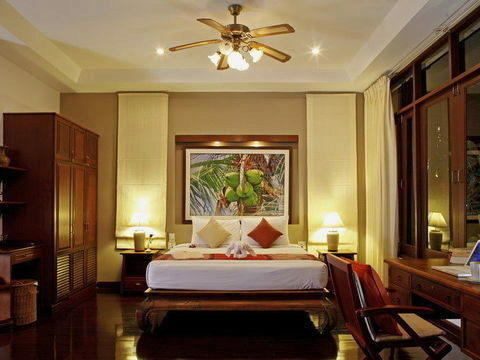 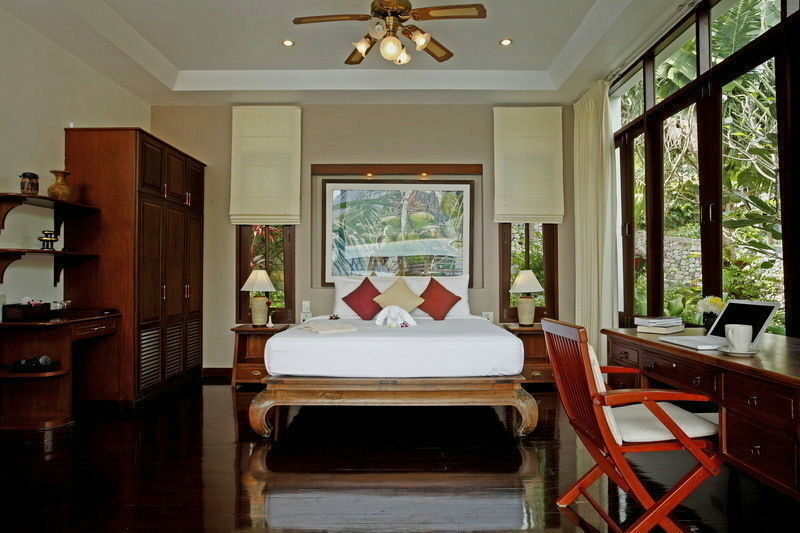 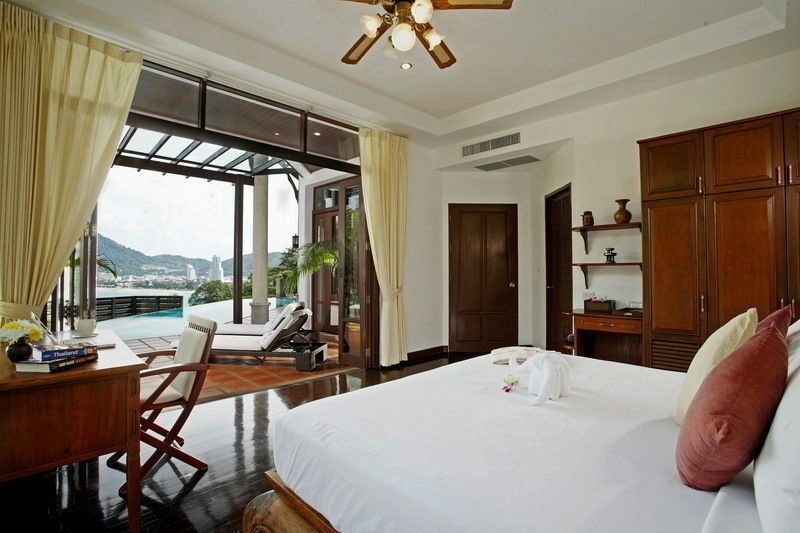 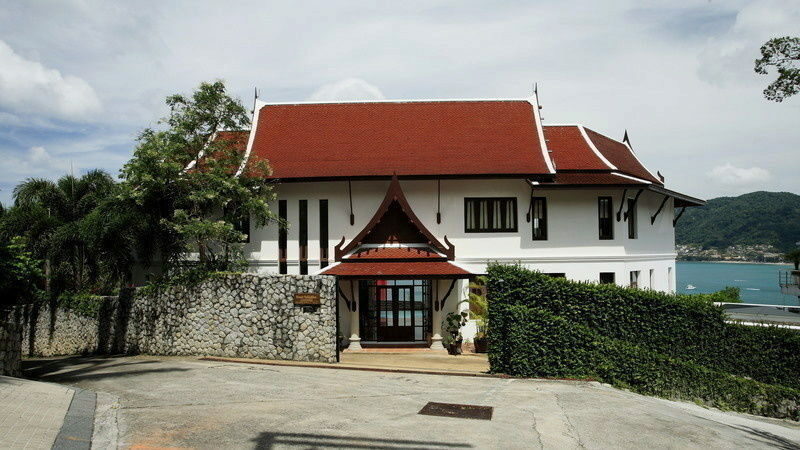 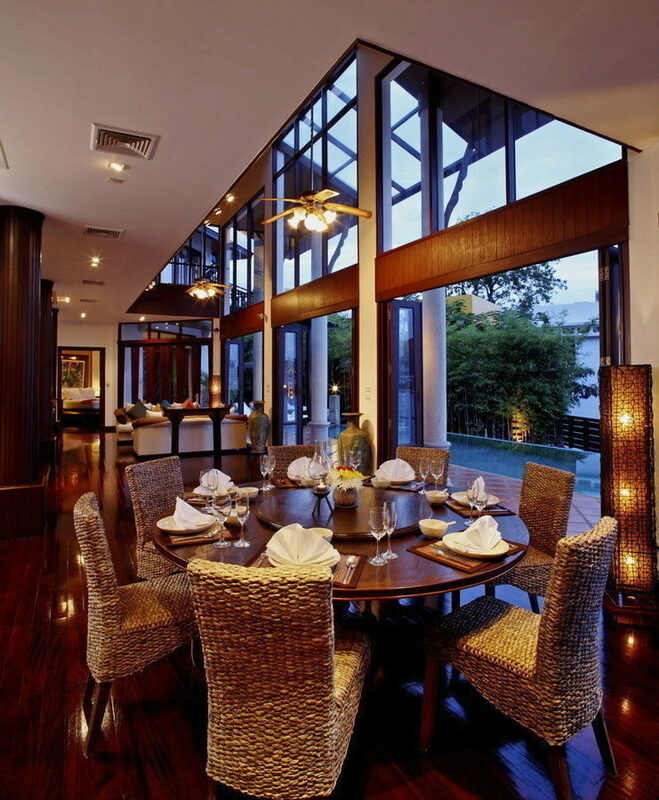 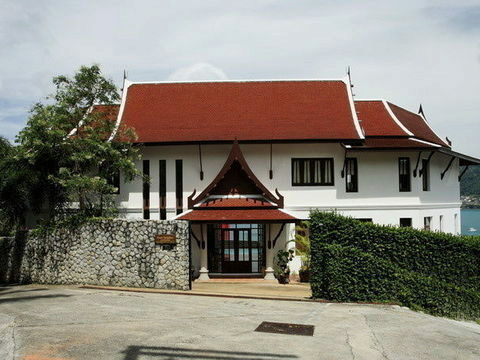 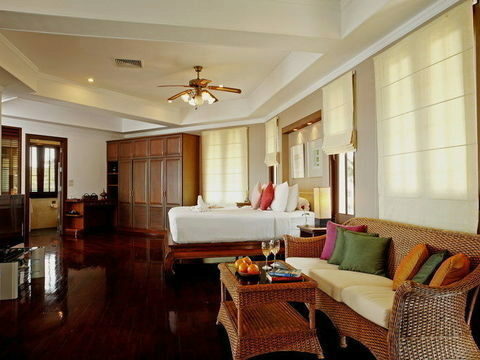 The Villa comprises of 5 master bedrooms, each with magnificent views over Patong Bay and beyond. 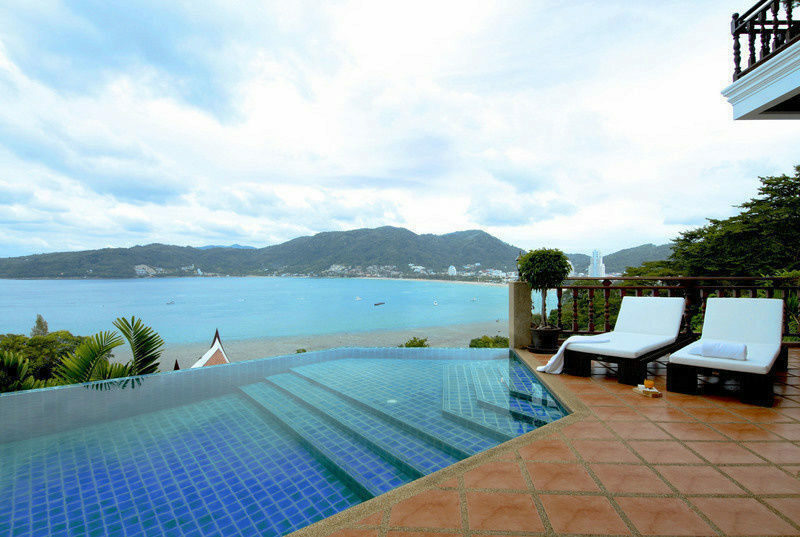 The master lounge, complete with stereo and DVD, sits at pool level providing BOSE poolside sounds to accompany the fantastic views. 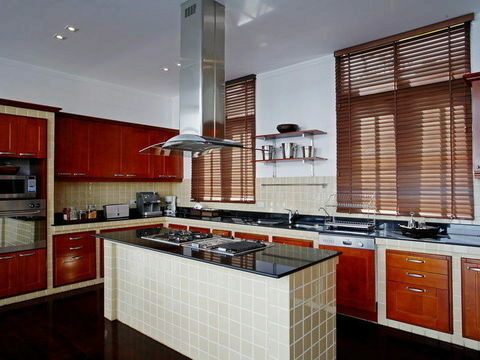 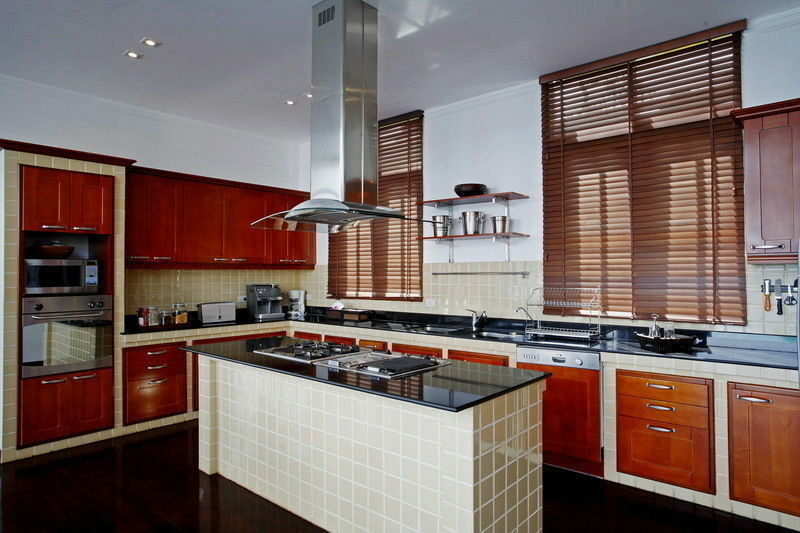 An open plan chef’s kitchen services both the inside and outside dining areas. 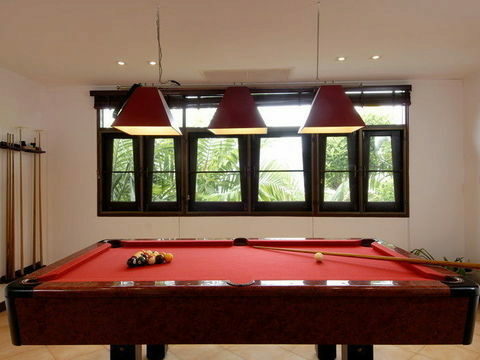 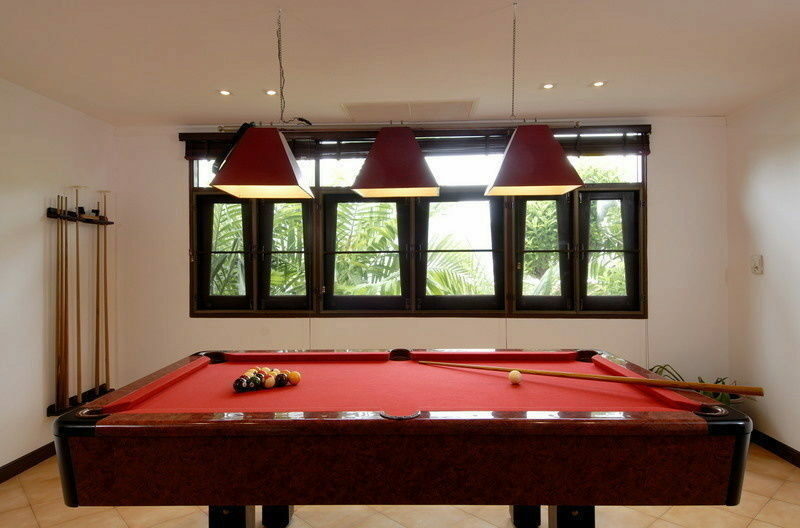 The downstairs entertainment room houses a 60 inch plasma flat screen TV, complete with DVD, stereo and Sony Playstation II as well as an American pool table, making it a great party room or that rainy day retreat. 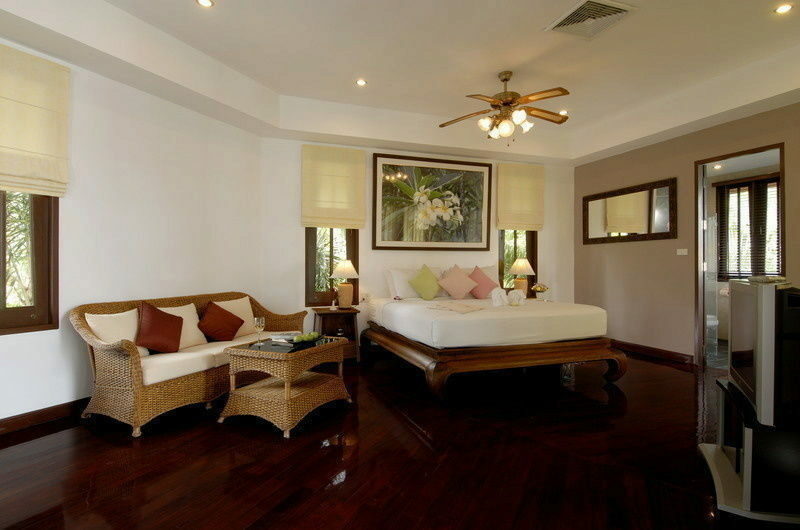 Rental of this superb vacation villa includes complimentary soft drinks and bottled water as well as a complimentary case of Heineken on arrival. 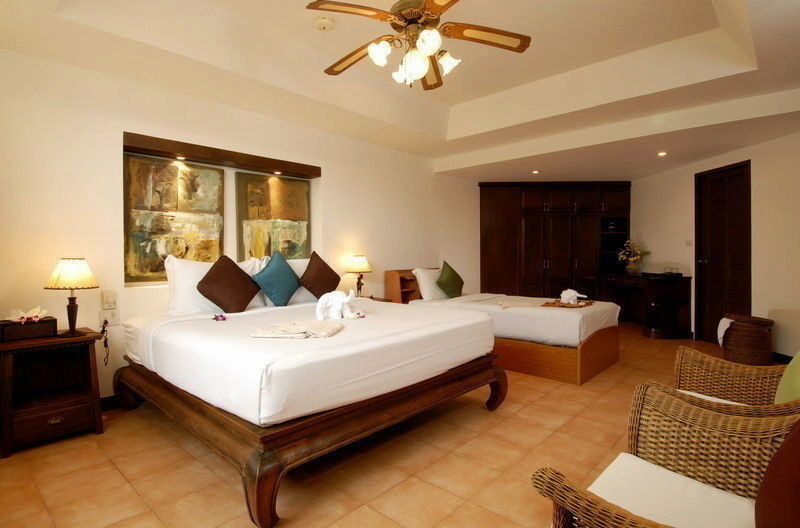 Your 2 resident maids will take care of all your daily needs and your private Villa manager will make sure your stay exceeds your expectations. 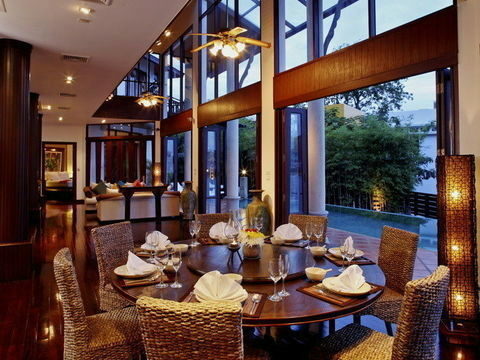 And of course, we will be at the airport to greet you. 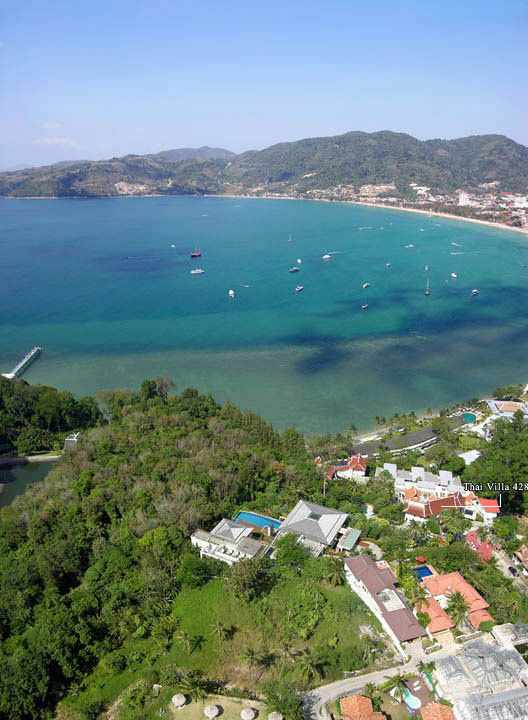 Our Villa standards, staff and service are what sets us apart from other Villas and we pride ourselves on making your vacation the most relaxing and fun it can possibly be.